Ten years ago, computer-generated imagery (CGI) was a new technology rarely explored. Now CGI is commonly used to make animated feature films, though it remains a medium yet to become omnipresent within the art world. While artists such as Ed Atkins and Kate Cooper use CGI to produce artistic short films, Berlin-based artist Sebastian Schmidt uses CGI to create incredibly realistic, detailed static imagery. 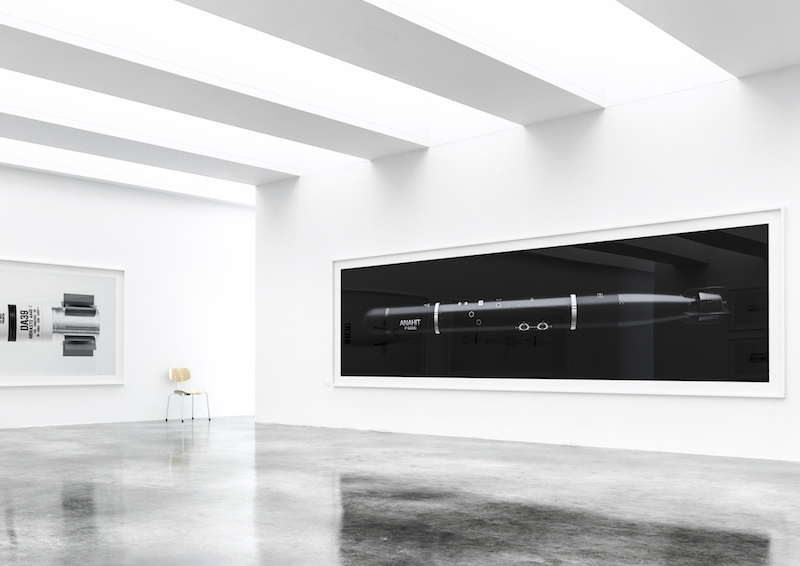 His recent series ‘Missiles’ presents nine cruise missiles and torpedoes, rendered like digital sculptures with CGI but printed as if they are photographs. 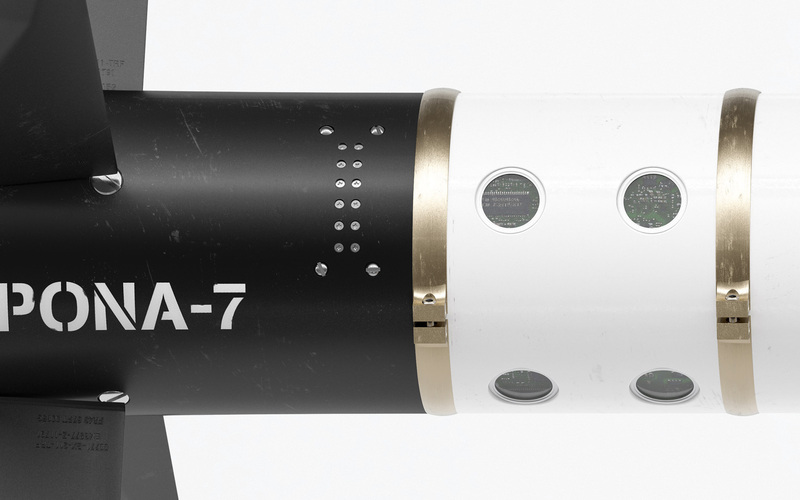 The precise and exact details of each object’s metallic texture and the typography of fading numbers and warnings seem as if Schmidt had staged and photographed actual missiles, while in reality every single one is digitally modeled. With ‘Missiles’, Schmidt questions humanity’s relationship to power and weapons—topics that seem to consume societies around the world, despite their inherent danger. Images of war are plastered on newspaper pages; reports of shootings fill evening newscasts. Contrasting news reports, however, Schmidt forces viewers to come face-to-face with weapons of mass destruction by removing all external context, rendering them against black or white backgrounds. Yet unlike, say, a machine gun or pistol, missiles and torpedoes retain a sense of detachment. Few have seen these weapons firsthand and even fewer have lived to tell the story of their destructive abilities. When a gun is fired, the results are immediately witnessed by the perpetrator. Conversely, when a torpedo or missile is fired, it is launched into the abyss, traveling hundreds, even thousands, of kilometers before destroying its target. And this sense of abstraction is precisely why Schmidt’s decision to digitally reimagine missiles and torpedoes is important. By using technology unfamiliar to the latent eye, his objects become almost as abstracted as the destruction of which they are capable. His missiles conflate reality and fiction, just like the notions surrounding weapons and war are hardly impacted no matter if a violent act is seen on a news broadcast or in a Hollywood movie.